Saying HK was McLuhan’s star student is misleading. The review more accurately says a star student. It worth noting that McLuhan arrived to the UofT in 1946 and that Kenner took his degrees BA 1945 and MA 1946. Fulford says “McLuhan often gets identified as Kenner’s mentor, which doesn’t quite tell the story.” and further says ” Philip Marchand’s biography of McLuhan quotes his resentful remark: “I have fed Kenner too much off my plate.”” It’s worth noting that Kenner moved on to Yale and the influence of Brooks and the school of American New Criticism and yes as recommended by McLuhan. As Kenner leaves Toronto, Theall is on the threshold of leaving Yale at Brooks urging to come to Toronto to study as McLuhan’s first PhD student and in the process become integrated into the important developing years of the Toronto School of Communications a term coined by Theall! It can be argued that Theall was McLuhan’s star student. Thanks for your well-articulated comments, Michael. Theall or Kenner? Whose star shone the brightest? That’s debatable and it’s probably safer to give both equivalency. However, as far as stardom is concerned, I was thinking more about the careers of both as opposed to how they did as students under MM, both of whom were amazingly productive and full of achievements. I gave the nod to Kenner because of his considerable output in writing books about all the greatest modernist writers, including The Pound Era which has had great influence. 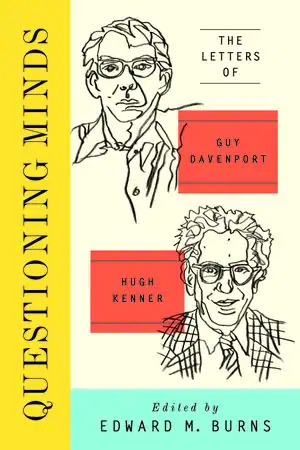 I am appreciative of the comments made by Michael Edwards and Alex Kuskis about my book “Questioning Minds: The Letters of Guy Davenport and Hugh Kenner.” I was careful to refer to McLuhan as a mentor to HK, never as his teacher (in the academic sense– which he never was). In writing about HK’s “The Poetry of Ezra Pound” (written while he was a graduate student at Yale University) and his book about Eliot, “The Invisible Poet,” I quoted at length passages in which HK writes that these books were stimulated by his and McLuhan’s reading each poet’s works and the discussions they had. 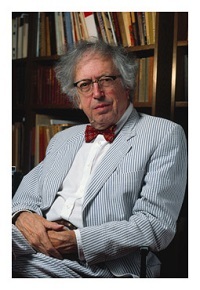 While HK studied with Cleanth Brooks, he was never a New Critic–and I am careful to assert this. It was McLuhan who introduced HK to Felix Giovanelli who he first had known they they each taught at St. Louis University. Giovanelli was also a mentor to HK when he was working on his doctorate at Yale (see particularly 1963, note 502, pp. 526-7). The complex relationship between HK and McLuhan was never directly referred to in the letters, and so I never addressed it in my notes. What was crucial for HK was that it was McLuhan, who, driving him to New Haven to begin his graduate studies at Yale, took him to Washington, D.C. to meet Pound at St. Elizabeths Hospital. I apologize for misstating Michael Edmunds name.